What is design thinking and how does it apply to educators? 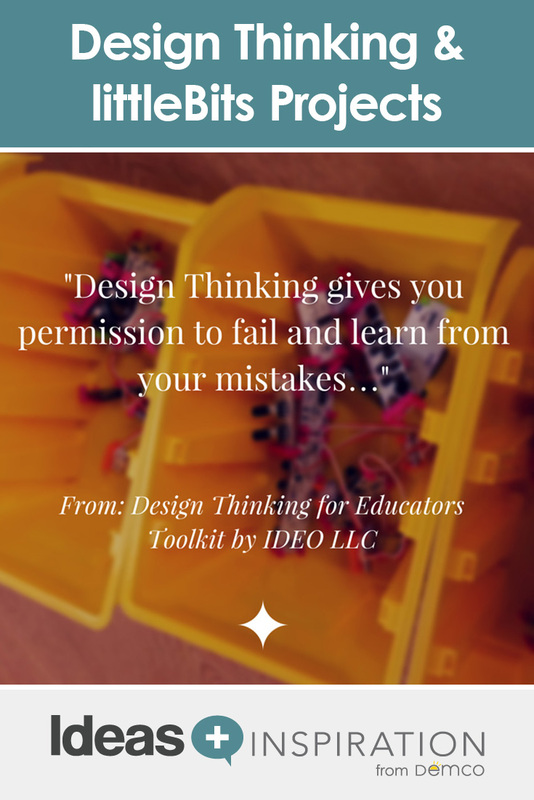 According to Design Thinking for Educators, a handbook created by the IDEO company, it is a great way to effectively engage your students and get your makers, students and patrons to try a human-centered approach, improve their creative confidence and find unique solutions when problem solving (IDEO LLC, 2016). 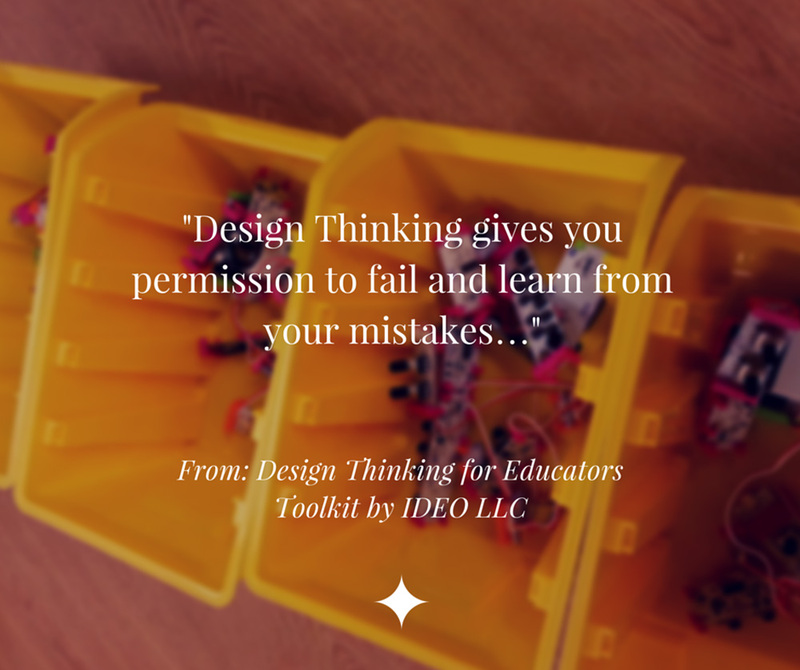 Design thinking also focuses on something integral to the maker mindset and that is “the permission to fail and learn from (those) mistakes.” (IDEO LLC, 2016) I often refer to Edison’s 1,000 attempts at making the lightbulb when talking about this with students. Edison had to fail at 1,000 experiments before he experienced success at coming up with an amazing invention that has changed our world! In making and designing, the process is often more important than the end product. 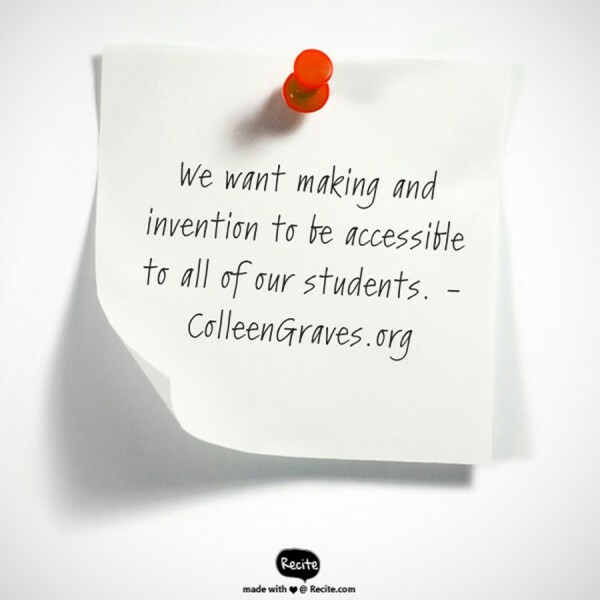 When makers create to learn, they experience many setbacks along the way. This is actually a good thing because when you combine failure with determination, perseverance is born. littleBits is a great tool to start students on this design process and help them experience the growth mindset that comes along with problem solving and making. 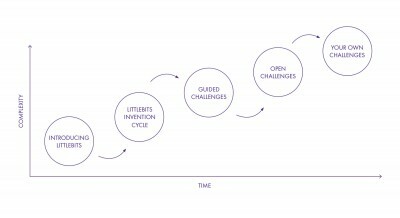 With littleBits projects, you can introduce the design thinking concept and start to add complexity with design challenges over time. 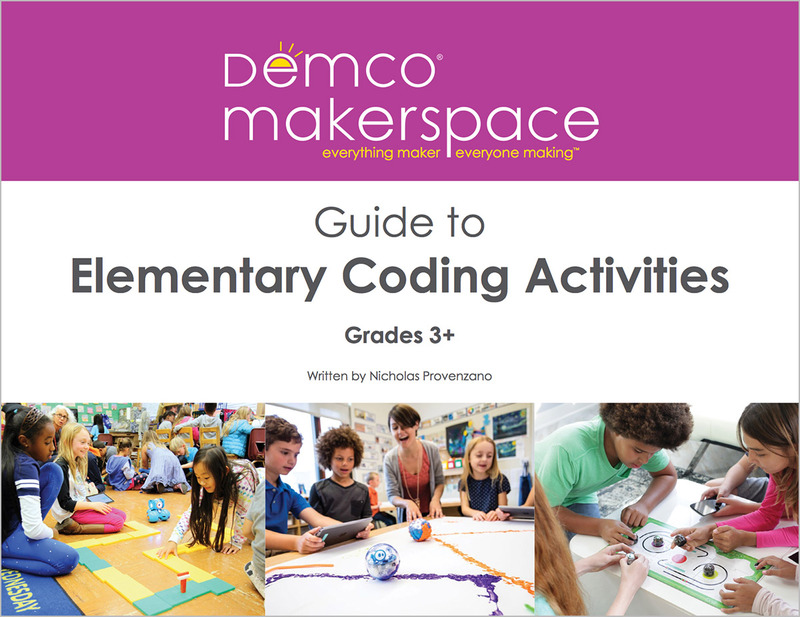 First, follow the Design Challenge Workshop Guide, teach your makers about the functions of each bit (or let them discover how each bit functions), then introduce a guided challenge. When looking for a guided challenge, the littleBits “Invent” community is an awesome place for ideas. Plus, littleBits hosts a monthly challenge like the #Inventforgood Challenge. Your makers can participate in the challenge by loading projects to the littleBits site and even sharing their projects with a custom hashtag on social media. Eventually, you’ll want to develop your own challenge ideas. If that seems daunting, don’t worry — Diana Rendina, Aaron Graves, and I are working on a guidebook for you! This is why it is essential that you set aside time in your library for students and patrons to tinker and learn. I held maker mornings last year and made that time about free designing. As adults, we have a hard time with tinkering and giving students time to figure it out on their own. Every one of us has followed a set of instructions to make something, but how many times have we set out to tinker and see what we can discover and invent on our own? For me, teaching my middle school and high school students to tinker is a fundamental building block to molding young innovators. Tinkering is what will lead to the next big thing. Creating and making mistakes — that is how we learn and grow. One of the great things about littleBits projects is that makers can play and learn abstract concepts that can often be difficult to understand. When students practice math with imaginary numbers, it’s quite abstract, but when utilizing some of the littleBits lessons below, math becomes a tangible object with real-world applications that helps learning become more memorable. littleBits are also a great way to learn about logic gates, which are fundamental in understanding the world of digital circuitry. 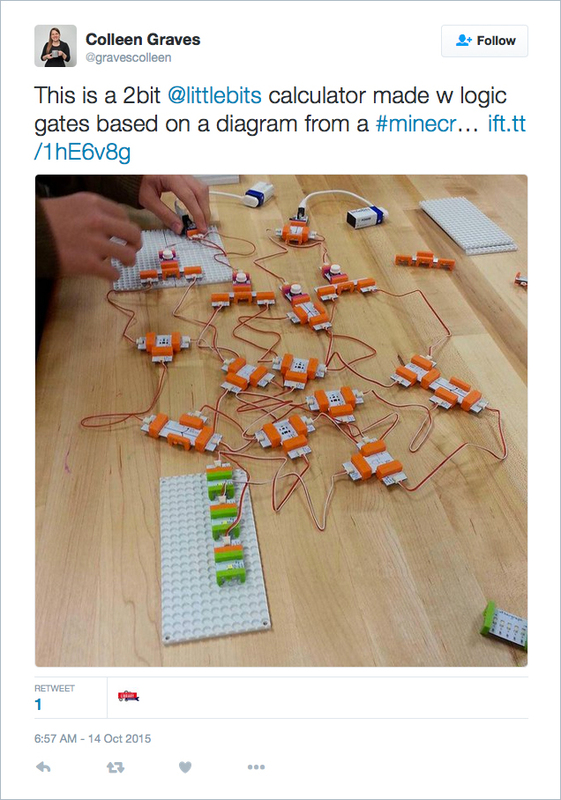 littleBits has a great lesson posted (make sure you download the full lesson in pdf format). One of my high school students really got into the idea of logic gates after finding out about them in a Minecraft book. He made a 1-Bit calculator, then a 2-Bit calculator, and quickly moved to attempting an 8-Bit calculator, but we ran out of littleBits wires. She quickly pulled out the forkBit and added a few inputs and outputs. She said, ‘Mom, why isn’t this working?’ When I pointed to the placements of inputs and started to explain, she said, ‘Tricked you! This only works if I press this button AND move this slide switch.’ Wow. My 7 year old just explained AND gate logic? And after just 30 minutes of playing? That’s pretty awesome. Sounds fun, but why the library? It is important to note that you do not have to give up all of your library duties to convert your library into a makerspace. 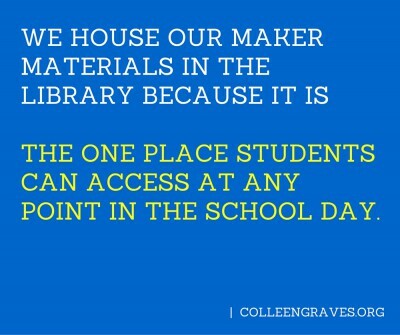 Instead you can create a hybrid space known as a library makerspace. Libraries are actually timeworn makerspaces in the sense that our communal space is a venerable place to find experts and create knowledge. The only difference is that we are moving beyond traditional literacies by adding making and invention to the mix. Now our students can create tangible things and create knowledge through that experience. Our patrons can make meaning through making. 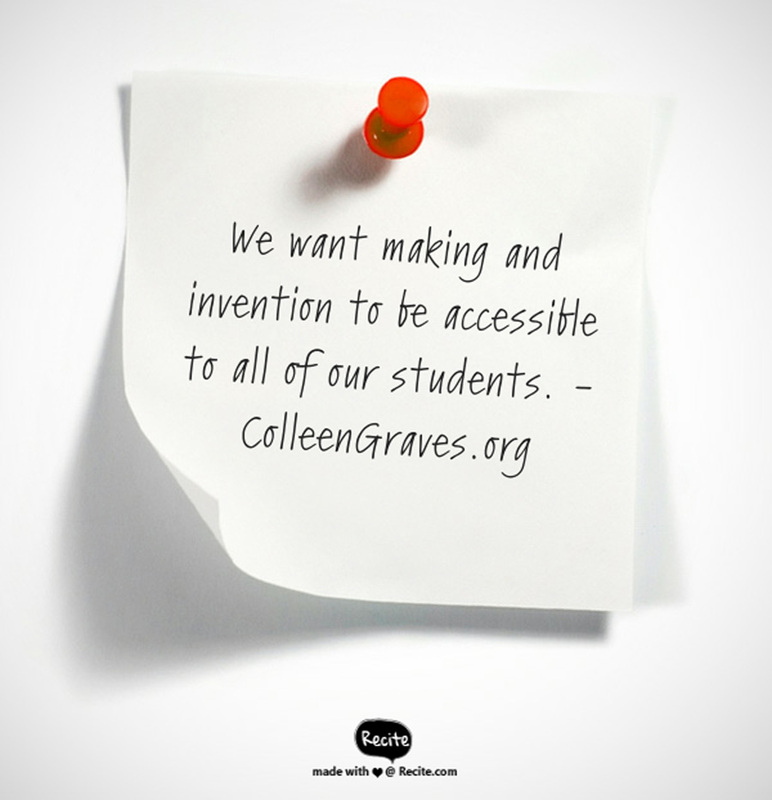 We want making and inventing to be accessible for all of our students and patrons. A few years ago I wrote an article for Knowledge Quest about beginning a library makerspace with guidance from teens. In the article, I mention that a library makerspace is a place where makers can envision a project, find an expert, and create something. It is student/patron-centered because we are teaching our students to learn to think for themselves. My intention is to get them interested in making technology, not just using it. Libraries have also been communal spaces since their foundation. Another important point from that article is that students should see the school library as a place to create, build and craft their own ideas while engaging with the community. One of the goals in my library is to create a safe environment for students. This encompasses feeling safe to be an individual, safe to read, safe to tinker and learn and safe to fail. 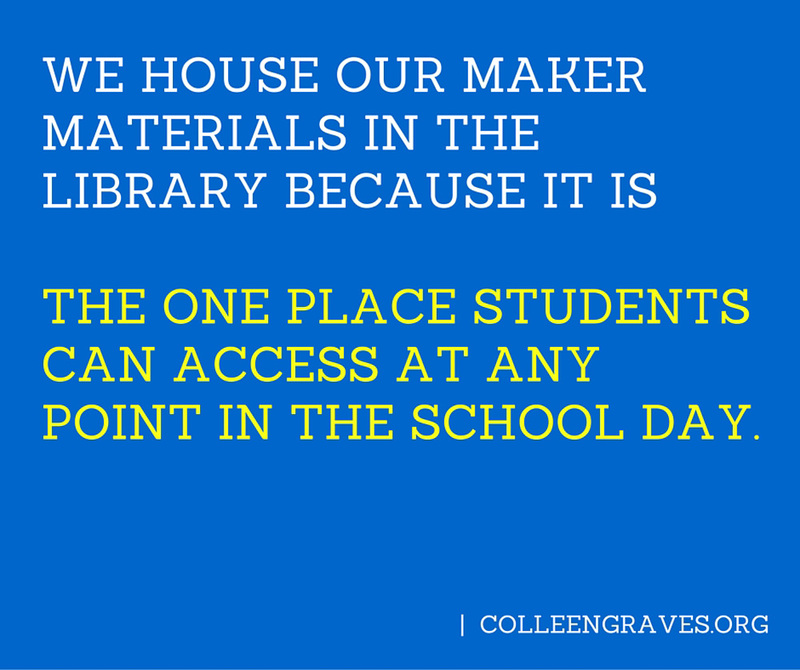 Lastly, we house our maker materials in the library because it is the one place students have access to at any point in the school day, and we want them coming back again and again. “Give students open-ended prompts, like “Build something that draws something.” Instill creative confidence by telling them, ‘Trust yourself; there is no right answer. Instead, focus on what the questions are that we need to ask to find a solution,’” says Saunders. In the public library setting, Mary Glendening suggests it is sometimes better when parents aren’t there because then kids will take ownership of solving the problem. Holly Arnason has a great tip to get you started: Set up kits during the summer months and allow summer reading program participants to earn a badge for tinkering with littleBits. To get your students motivated about prototyping with littleBits, you are free to share this chat from my #GirlsinTech Camp! Let your makers hear directly from the littleBits Director of Product Design about real-world examples of where design thinking can take them!